Sarah Barge is the Continual Service Improvement manager at Southern Company responsible for ITSM tools, processes, and metrics for the IT organization. 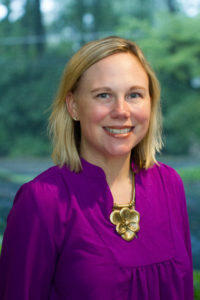 A member of the Junior League of Atlanta since 2005, she has served in various roles on the Membership council, Internal Operations, Advisory Planning and Impacts and Measurements. Sarah earned a Bachelor of Science in Industrial Engineering from the Georgia Institute of Technology and a Masters of Science in Industrial Engineering from Pennsylvania State University. A native of Atlanta, Sarah and her husband have three children and reside in Midtown.